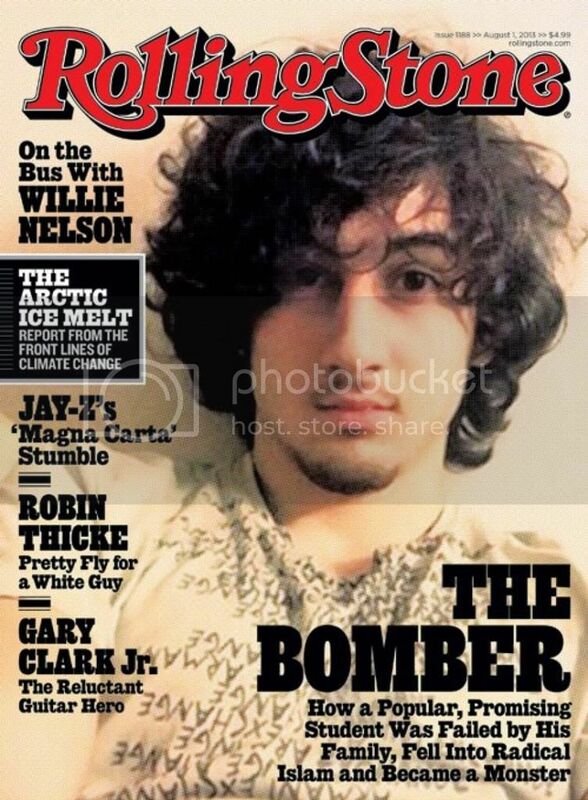 I completely agree with you on the latest issue of Rolling Stone Magazine's cover. It may be good journalism and might make for a good story inside the issue, but to have it presented on the cover just glorifies terrorists and is not what the people of America want to see. It's just not tactful. On a lighter note, I LOVE the .gifs you used! Happy birthday! The end of this post made me chuckle! Happy Birthday, lady! I think you stated what is wrong with the cover perfectly- its the same reason I hate when criminals profit off of book sales. I was honestly horrified when I saw the cover - sometimes, what's right trumps good journalism.. It encourages criminals and infamy - it has to stop! The media has a responsibility because it has power over society. All an extremist wants is a megaphone and a feeling of importance. This did both. Well said, Harper.. It crossed the line in every single way possible. I'm so disappointed in Rolling Stone.